Easy carry reservoir with handle. 2.5 Gallons BPA- Free! • Keep one in the house to save trips to the coop-Fill and GO! Can it be used outside the coop? The Easy Carry Waterer should be used inside of the coop, it is not recommended for outside use. Confused on how you carry the unit with water in it. Also, were is the heating element? The unit is designed so the fount can be removed from the base to be filled with water. The fount has a self-seal (spill-proof) cap. Once the fount is placed on the heater base and secured, the cap is unlocked and the water will flow into the trough. The heater unit is built in within the trough base. what volume does this hold? how long is the cord? 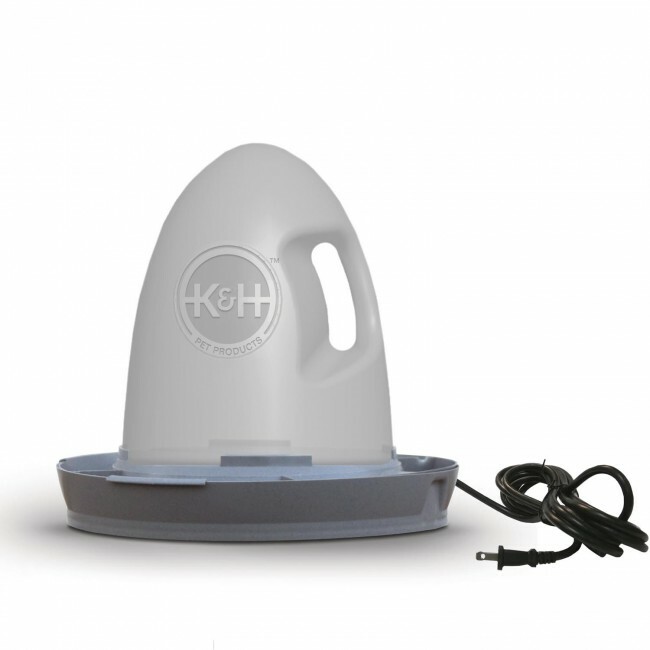 This waterer holds 2.5 gallons. The cord is just shy of 70 inches, including the plug on the end. 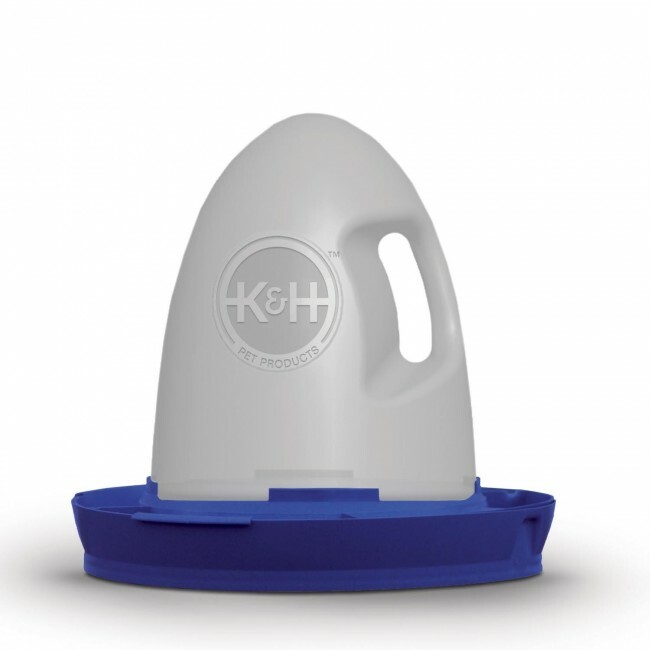 This waterer holds 2.5 gallons.